The US State Department said on Tuesday that it has decided to send home fifteen Cuban diplomats, noting that the diplomats have been given seven days to leave the United States. "This morning the Department of State informed the government of Cuba it was ordering the departure of 15 officials from its embassy in Washington, DC, who are not being declared persona non grata," the official said on Tuesday. 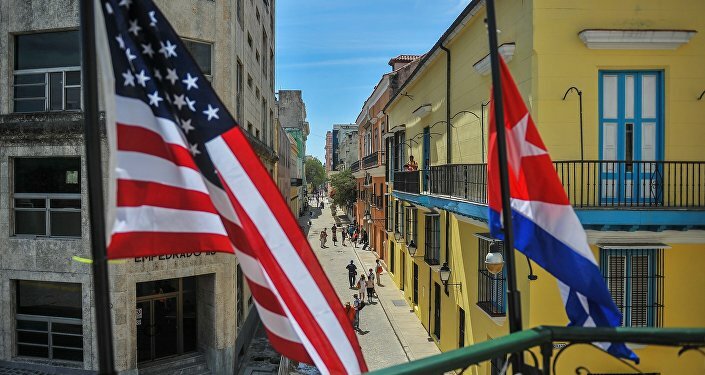 This decision does not reflect a policy change, due to established diplomatic ties with Havana, a senior State Department official told reporters on Tuesday. All US nonessential diplomats in Cuba are likely to leave Havana by the end of the week following a string of sonic attacks, a senior State Department official told reporters on Tuesday. Additionally, US diplomatic personnel will not be sent to Havana until the Cuban government provides guarantees for their safety and security, a State Department official told reporters on Tuesday. On September 14, US senators sent a letter to State Secretary Rex Tillerson, urging the State Department to close the embassy in Havana and expel all Cuban diplomats from the United States, since Cuban authorities failed to ensure the security of US diplomats. Meanwhile, last week, Tillerson told CBS that the US government was considering closing its embassy in Cuba.